Adrian Musolino is editor of V8X Magazine, and has written as an expert on The Roar since 2008, cementing himself as a writer who can see the big picture in sport. 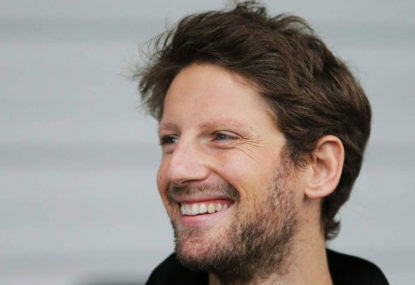 He freelances on other forms of motorsport, football, cycling and more. 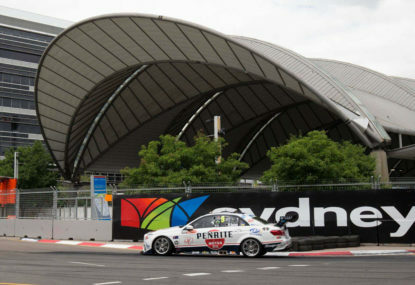 Few thought a V8 Supercars Sydney Olympic Park would ever eventuate, yet the punishing street circuit around the site of the 2000 Olympics has become a fixture as the season finale on the V8 Supercars schedule since 2009. 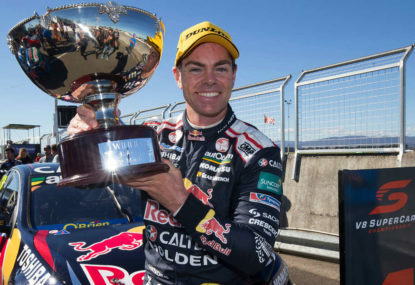 Ford’s Mark Winterbottom and Holden’s Craig Lowndes will do battle for the 2015 V8 Supercars drivers’ championship at Sydney Olympic Park this weekend. 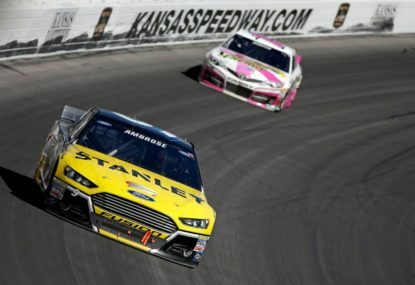 Only in NASCAR could a driver miss the first 11 races of the season, just under one third of the campaign, and still return to win the championship. 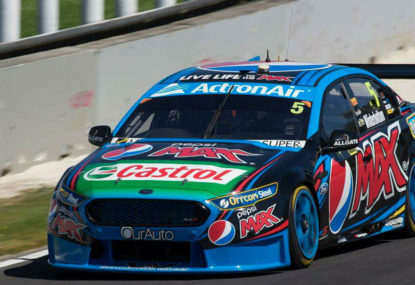 Can Winterbottom wrap up the championship at the Island? 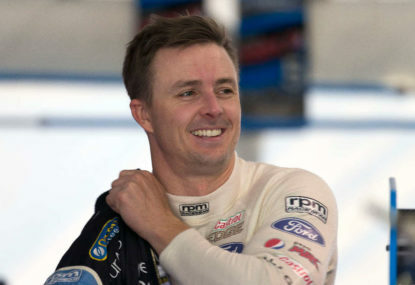 Mark Winterbottom has played the role of bridesmaid for the last decade in V8 Supercars. Can Australia sustain a fragmented media rights market? Optus grabbing the English Premier League rights from right under Fox Sports’ nose in a $63 million a year deal represents a watershed moment in Australia’s increasingly murky sports rights market. 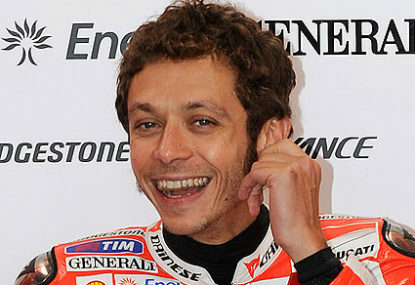 Valentino Rossi’s success has been built not only on an incredible natural ability in riding a grand prix motorbike, but also in playing psychological games to get in the head of his opponents. 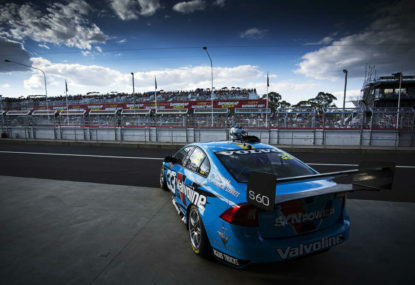 V8 Supercars has announced its race formats for the 2016 season, moving in the direction demanded by fans, drivers and pundits alike. 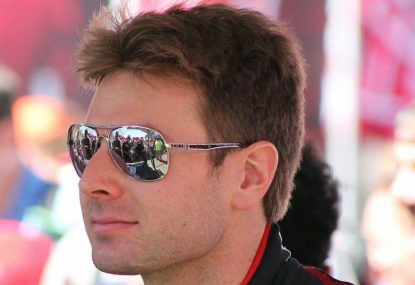 It didn’t take long for V8 Supercars to act on David Reynolds’ sexist slur to the weekend’s all-female Bathurst 1000 wildcard entry, his out-of-touch comments seeing him slapped with a $25,000 fine. 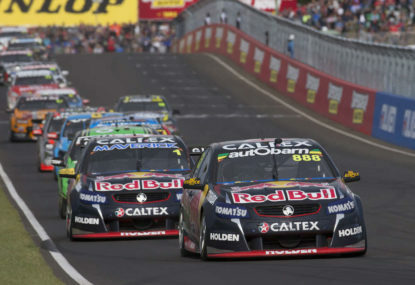 The 2015 edition of the Bathurst 1000 will struggle to replicate the drama of last year’s event, which saw an unprecedented mid-race stoppage, a string of heartaches for would-be winners and the victors coming from the back of the grid. Can an American Formula One team succeed? Formula One may have a global reach these days, but the heartland of the sport remains very much in Europe, where the majority of manufacturers and teams are based. 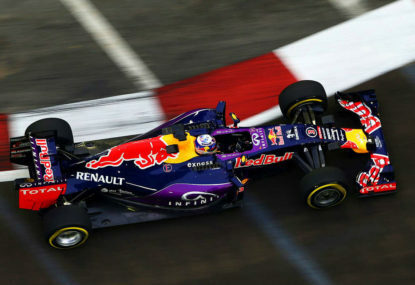 Red Bull’s threats to quit Formula One are getting louder and clearer. Unless Red Bull Racing secures Ferrari engines on par with the works team, then it will walk away from the series at the end of 2015. 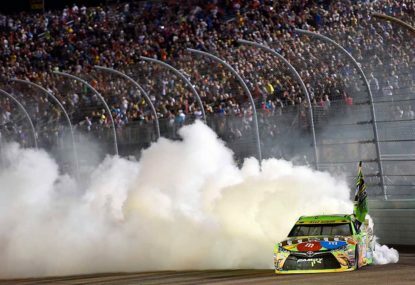 Does a 10th title win earn Rossi the G.O.A.T tag? Five races remain in the 2015 MotoGP season. 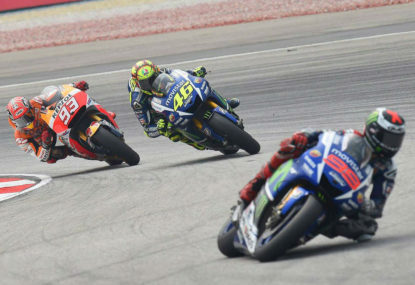 Five races standing between Valentino Rossi and a remarkable 10th World Motorcycle Championship, and an eighth in the premier Grand Prix class. Breaking into the very insular world of American sports is a remarkable achievement for outsiders. The 2015 IndyCar season ended in dramatic fashion last weekend with New Zealand’s Scott Dixon claiming the race win and championship, jumping the season-long points leader Juan Pablo Montoya. 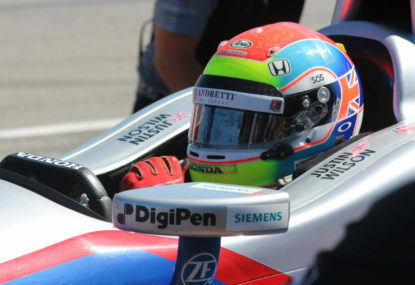 The freak accident that took the life of British IndyCar driver Justin Wilson will accelerate the push for closed cockpits in open-wheel categories. 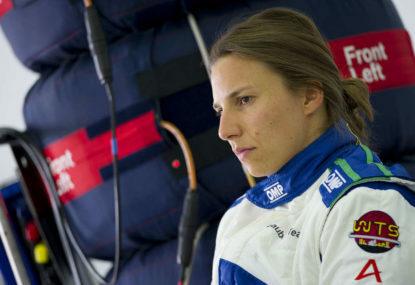 An all-female driver line-up will tackle the Bathurst 1000 at Mount Panorama this year for the first time since 1998. 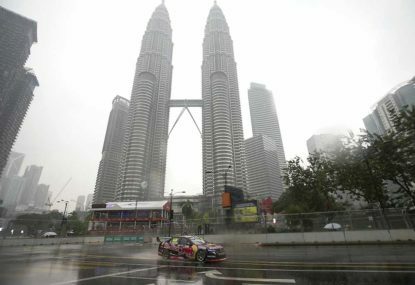 Will V8 Supercars return to Kuala Lumpur for a proper race? Five V8 Supercars took to the city streets of Kuala Lumpur last weekend for a series of exhibition races at the inaugural KL City GP event. 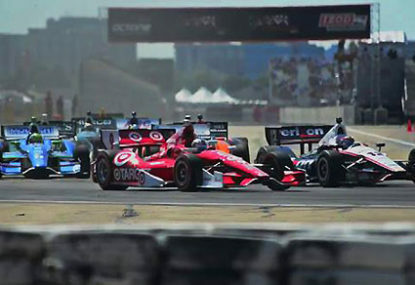 While two successive entertaining Formula One races have reinvigorated grand prix racing, the premier class of open-wheel racing has nothing on its North American cousin in terms of unpredictability and entertainment. Had Formula One become complacent with safety? 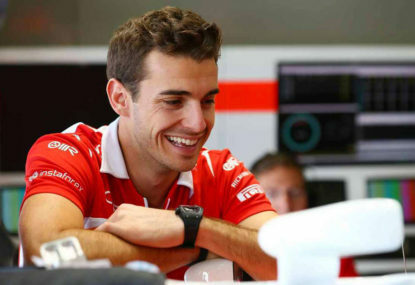 As the Formula One world mourns the loss of Jules Bianchi, important questions need to be asked around how such an accident could have taken place in an era where safety is paramount. Full-time: Spain 5 – Australia 1. Scoreless second half provides cold comfort for the Young Socceroos, who were totally outclassed by Spain following a scoring spree in the opening minutes of the game. Young Socceroos out of the World Cup at the bottom of Group C with only one point in the campaign. Lots of questions around the performance and technical standard put in place for the youth team. Thanks for joining us this morning and let us know your thoughts on the Young Socceroos’ performance. Injury time strike from Tommy Oar ruled out as offside. Could have been another for the highlight reel from Oar. 80 minutes: Spain 5 – Australia 1. Match petering out with a few chances for both sides. Another great chance for Bulut forces great save. Bulut has been the shining light for the Young Socceroos – going after each ball and refusing to let his head go down. Still showing plenty of effort in a game that’s run out of gas. 70 minutes: Spain 5 – Australia 1. Much better half for the Socceroos who seem more adept at playing this system, but Spain have backed off. Spain playing at a crawl but controlling possession with ease. Strike from Petratos forces good save from the Spanish keeper. Best chance of the second half for the Young Socceroos, who are looking more comfortable now. Spain so comfortable on the ball, currently controlling possession. 55 minutes: Spain 5 – Australia 1. A good spell for the Young Socceroos on the ball, but the lack of quality balls and decisive passing and finishing is clear, particularly when compared to what Spain produces. Spain appear to have taken their foot off the accelerator, as the game settles into a bit of a holding pattern. Young Socceroos will be happy (?) to not concede further. Second half underway. Subs for the Young Socceroos: McGowan and Petratos on for Sainsbury and Ibini-Isei. Halftime: Spain 5 – Australia 1. Disastrous for the Young Socceroos and Australian football – totally outclassed. Spain controlling play with ease. Socceroos can do little but watch in awe. 29 minutes: Spain 5 – Australia 1. Bulut overpowered Spanish defense and slotted one past the keeper. 27 minutes: Spain 4 – Australia 1. Young Socceroos pull one back through Bulut. Better spell for the Young Socceroos but ball movement just no comparable to standard set by Spain, who are looking dangerous on the counter. 20 minutes: Spain 4 – Australia 0. Any hopes of progressing surely gone. Huge gulf between two teams. Young Socceroos look out of their depth playing this new system. Real wake-up call for Australian football. 4-0 to Spain. Vazquez get his hat-trick after just 19 minutes. Header from a corner. Woeful marking from Socceroos. Vazquez the scorer of the third. 15 minutes: Spain 3 – Australia 0. 3-0 to Spain. Spain on a different planet.